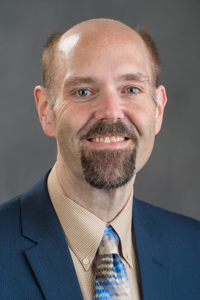 BLOOMINGTON, Ill.— Longtime Illinois Wesleyan University student affairs administrator Matthew Damschroder today was named vice president for student life and dean of students at Juniata College in Huntingdon, Pa. In his new role, Damschroder will oversee Juniata’s residential life program, athletics, student services, student activities, health and wellness, campus ministry, first-year programs and community service. His appointment is effective June 1. Damschroder joined Illinois Wesleyan in 1998 as a residence hall director. He was promoted to assistant director of residential life in 1999 and was named as director of residential life in 2000. He was promoted to assistant dean of students for campus life in 2010. His portfolio at IWU included residential life, student activities, leadership programs, student center operations, fraternity and sorority life, orientation and summer conferences. Damschroder earned a bachelor’s degree in English and philosophy in 1996 from Drake University. He holds a master’s degree in applied computer science and information systems, and a doctoral degree in educational administration and foundations, both from Illinois State University.